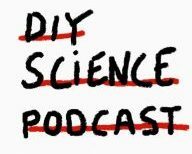 Podcasting (semi) regularly since 2018 about DIY science together with my fellow science hacker and friend Joram Schwartzmann. We are trying to map out the territory of DIY science – what it means to engage with or ‘do’ science from a standpoint outside of academia or institutions. The civil society version of science. For me, the impetus for the project grew from advocacy work I’d been doing, fighting for genuine recognition and equitable treatment for non-institutional DIY communities in the context of various academic citizen science projects – you’ll find a lot of this work around this site, for example here, here and here. Over time the podcast has also evolved into a journey exploring where science and practice overlap. Identifying those places and possibilities for the machine of academic research to escape the ivory tower and collaborate with practitioners in different societal contexts for the real benefit of both parties, beyond typical free market profit-driven knowledge transfer. Each episode comprises an interview with one person working in this way, discusses their project/community, the potential for what they are doing, and the challenges they face. As it’s especially tough for these kinds of projects, we also talk about approaches and solutions they have found to organise, share knowledge and financially sustain their work – a kind of peer2peer resource for best-practice ideas.